Progress LED lighting is state-of-the-art technology for the 21st century. Super-efficient and long-lasting (up to 42,000 hours), these revolutionary fixtures are perfect for the environmentally conscious consumer. Designed for use with Progress recessed housings (P87-LED, P87-AT, P187-TG and other 6 in. housings); also compatible with housings made by Halo, Juno, and many others. Recessed trim uses only 13 watts and provides lighting equivalent to a 65 watt BR30 incandescent bulb. You can control Commercial Electric Smart LED Downlights from anywhere using an easy Wink app (Wink hub sold separately). Dim or adjust the colour of the light in a range from warm white light (2700k CCT) to daylight (5000k CCT). Also, the lights can be grouped, scheduled to turn on/off, or programmed to dim or adjust colour. Each cUL rated 14 watt LED recessed light produces the same 650 lumens as a 65 watt bulb, but uses 78% less electricity. Over the life of each, you can save as much as $280 in energy costs. Plus, with an integrated LED module, no replacement bulbs will ever be needed. 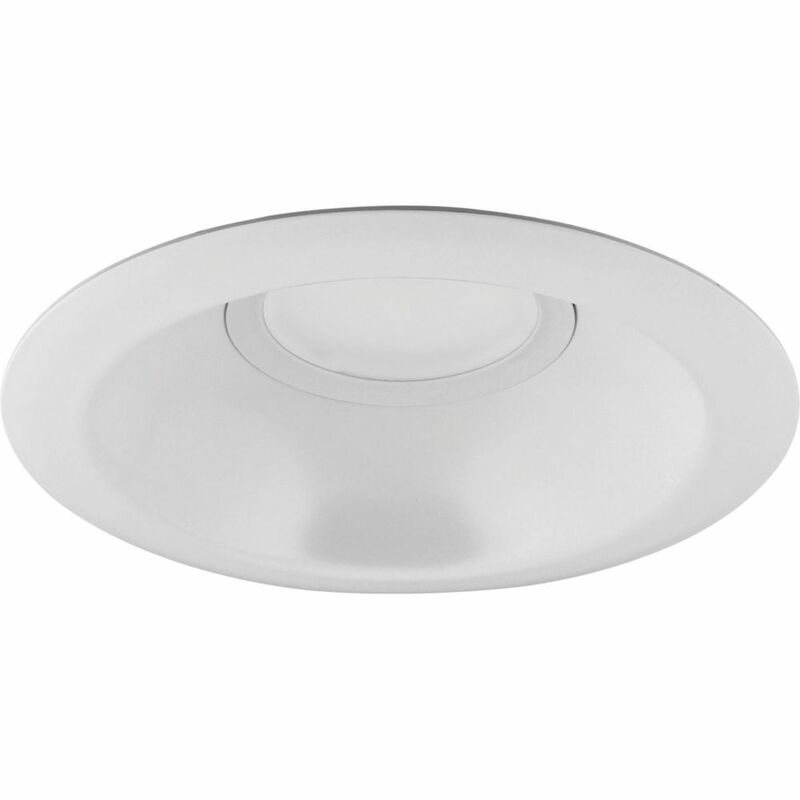 Easily installed in many 5-inch or 6-inch cans, these LED downlights are certified AirTight, IC rated for direct contact with insulation, and wet rated for use outdoors or in showers. The Cree<sup></sup> 3-Way LED bulb delivers three distinct levels of beautiful, warm incandescent-like light for the living spaces in your home. Backed by our 10-year warranty, the Cree 3-Way LED bulb shine brightly, delivering up to 25,000 hours of light for your home. The perfect replacement for incandescent at a price you can afford, Cree LED bulbs pay for themselves quickly and then pay you year after year. Progress Led White 3000k 6 inch Recessed Trim Progress LED lighting is state-of-the-art technology for the 21st century. Super-efficient and long-lasting (up to 42,000 hours), these revolutionary fixtures are perfect for the environmentally conscious consumer. Designed for use with Progress recessed housings (P87-LED, P87-AT, P187-TG and other 6 in. housings); also compatible with housings made by Halo, Juno, and many others. Recessed trim uses only 13 watts and provides lighting equivalent to a 65 watt BR30 incandescent bulb.